I love customizing my system. It's always the first thing I do when buying a new computer or reinstalling the operating system. This is probably why I love WindowBlinds so much! 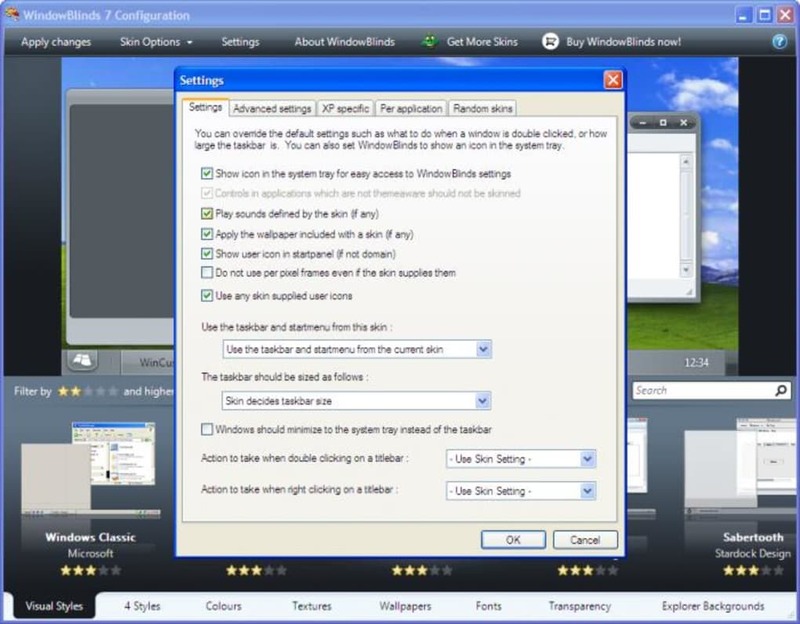 WindowBlinds is a popular customization tool that's been around for years, but which has been constantly improved and expanded, and has recently hit version 7. 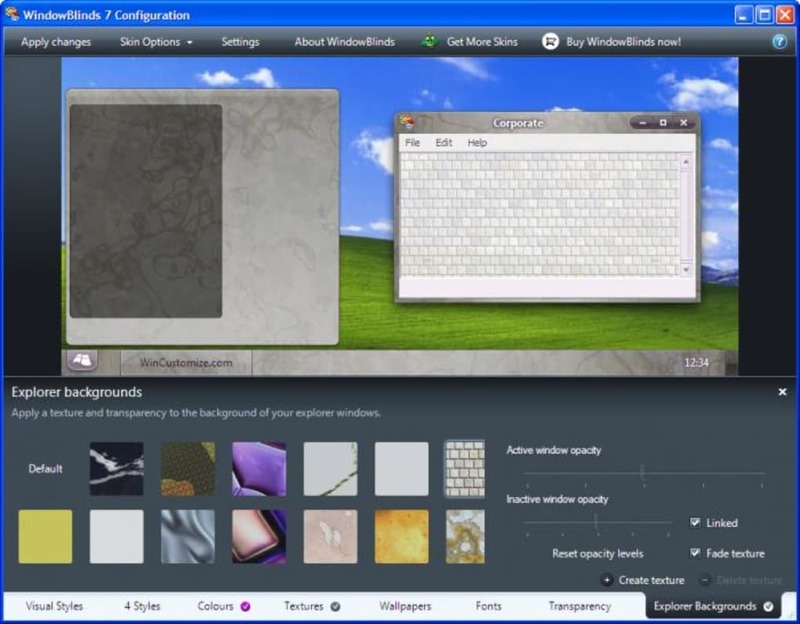 With WindowBlinds you can customize your system from top to bottom, including toolbar, start menu, window skins, wallpapers, fonts and other elements, in a really easy way. No system restarts, no dealing with DLL files, no fuss at all! WindowBlinds takes care of everything in just one click. The program features a nicely designed interface where you can browse different categories (visual styles, colors, textures, wallpapers and more) and select the ones you'd like to apply. 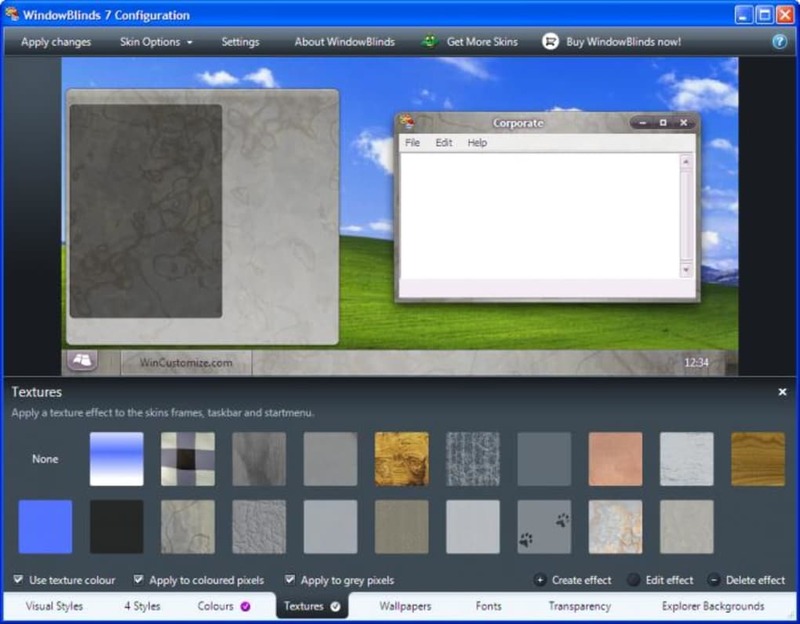 WindowBlinds offers an instant preview of the selected element, and also offers extra configuration settings to customize it – like being able to choose the color you want on your window skin. To apply all selected elements, simply click "Apply changes". 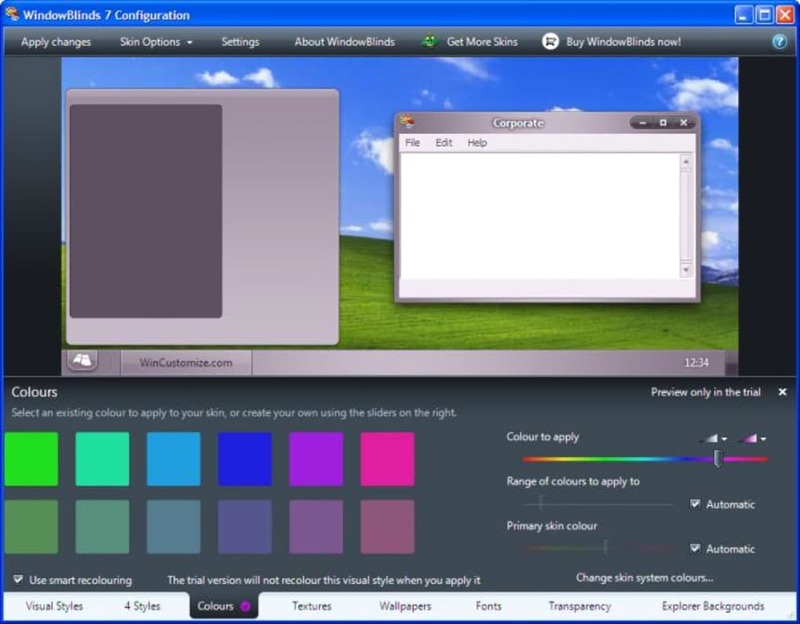 WindowBlinds is very easy to use and includes lots of customization options. 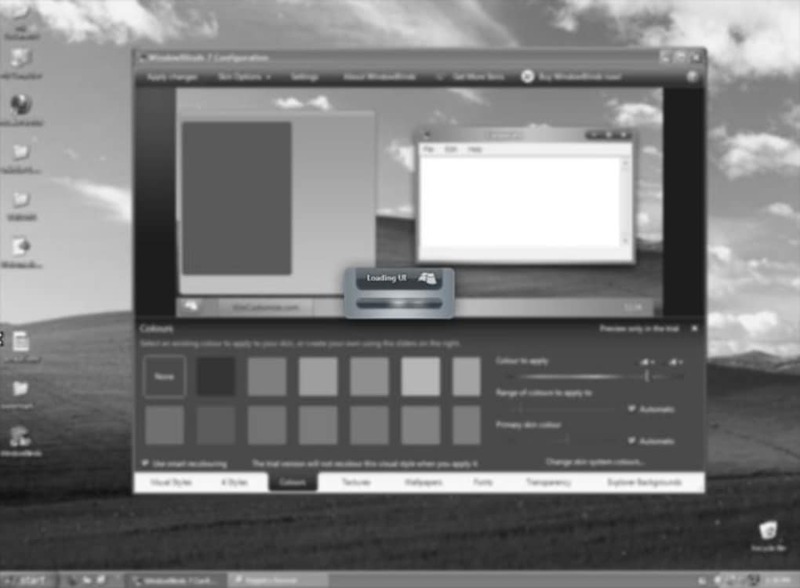 Plus it enables you to download more visual themes from the developer's website. On the downside, I missed having more options in the trial version, which sometimes feels a bit too limited. 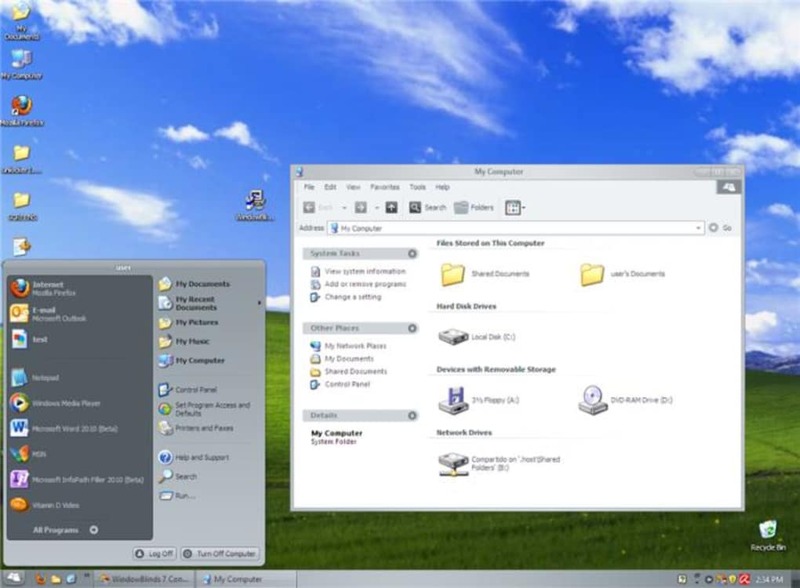 WindowBlinds is an excellent utility with which you can easily customize almost every detail on your system. Amazing Selection. Definitely my favorite visual style applying software. The only problem with it is that it costs money to buy and this is only an evaluation. However, there are tons of skins that are unique to WindowsBlinds and you can alter these skins to meet your needs. Plus you can go on the internet and download third party skins that are compatible with WindowsBlinds. This is definitely the master customization software. P.S. Aero Metal is one of my favorite skins. P.S.S. Stardock is one of my favorite developers that make ObjectDock which is really nice software. Can read .wba files made only for WindowsBlinds along with usual windows visual style files. More Skins can be found online. What do you think about WindowBlinds? Do you recommend it? Why?